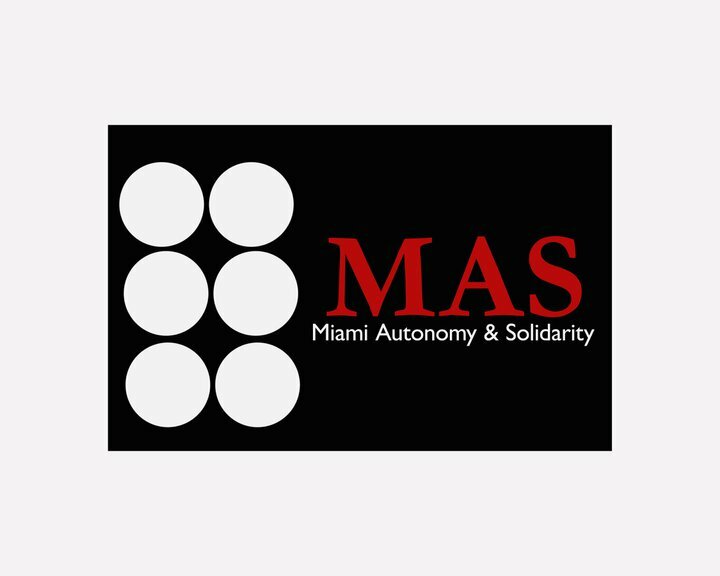 As part of a several year process of political discussion and regroupment that emerged out of the Class Struggle Anarchist Conferences, in November 2012 local and regional groups which included Miami Autonomy and Solidarity voted to merge and form a new national political organization Black Rose Anarchist Federation / Federación Anarquista Rosa Negra (BRRN). The political influences drew from the best the class struggle anarchist milieu and broadly include “anarchist-communism, anarcho-syndicalism, especifismo, platformism, feminism, queer liberation, black liberation, abolitionism, anti-racism and their history of global struggle for liberation.” The founding groups at the time included Common Struggle (formerly known as the Northeastern Federation of Anarchist Communists or NEFAC), Four Star Anarchist Organization in Chicago, Miami Autonomy and Solidarity, Rochester Red and Black, and Wild Rose Collective based in Iowa City. Black Rose Anarchist Federation (or Black Rose / Rosa Negra) is now the largest anarchist political organization in the US with locals in over a dozen cities and working towards a shared strategic vision of building “popular power” across workplaces, neighborhoods and all sectors of society. Organizing work is centered on building mass movements such as tenant unions, neighborhood assemblies, workplace campaigns, prisoner organizing, and in defense of communities resisting criminalization and deportations. Fabiola closed her eyes. 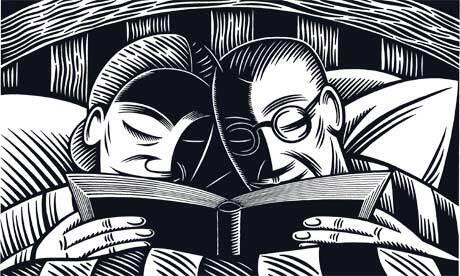 On the television, a preacher spoke a prayer while the patient rested quietly in the bed. That day Fabiola was fired, or terminated as management called it. Seattle Solidarity or SeaSol for short, is a network of workers and tenants that use direct action to solve problems at work and in housing. The success of SeaSol in fighting back against assaults on working people has led to victory repeatedly and it’s a model that’s spreading throughout the US and World. This is a free event and all are welcome. We’re featuring a story told by Monica Kostas, a contributor to MAS, about experiences in her workplace. Enjoy! Start the Engine! First stop: Getting the cake. 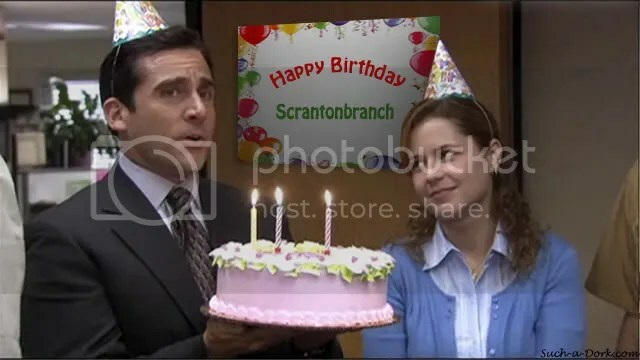 Some time ago my boss decided to stop all birthday celebrations and parties of any sort, saying it was “too distracting” for the workers. I’m just now passing my six-month mark, so I haven’t been working there long enough to have seen these parties. The only decorations in the office where I work, that save the place from looking like a hospital or asylum, are these really crowded 30” x 40” collages with close ups of all the employees that attended previous end-of-the-year parties. There’s a few of these along the walls that lead to the hall where my office is. People often stop to look at them and gossip about ex-employees, or how much weight they’ve gained since this and that picture, and so on. Over the past few months, Canada has witnessed a number of pitched battles around the most recent bout of cuts and austerity measures. In Toronto, workers staged a spontaneous wildcat in response to workers fired for mocking a government official responsible for measures attacking organized workers resulting in shutdowns of the airport on a broad scale. This comes in the context of a number of attacks on workers In Quebec, attempts to raise tuition and attacks the higher education system has led to months of general social unrest, strikes, and actions that continues today. 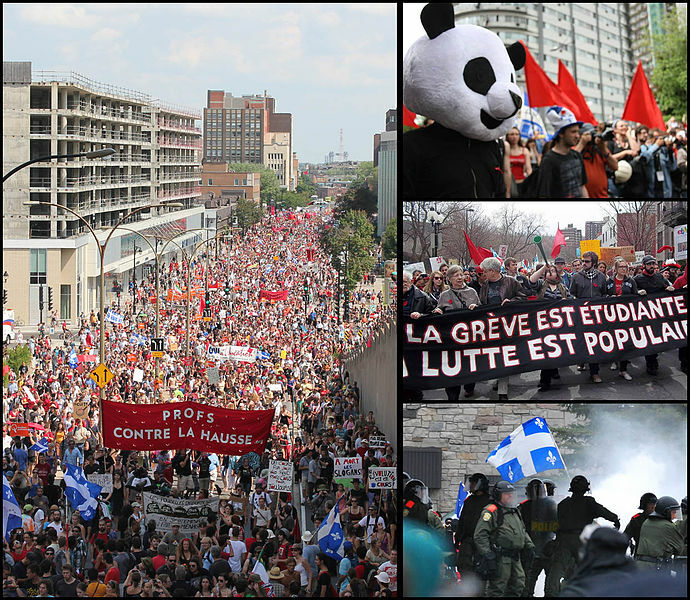 We feature two interviews recorded in May of 2012 in Montreal, Canada with organizers active in these struggles. Richard St. Pierre is a lifelong militant who grew up in Quebec, and has been active in working class struggles and revolutionary work for over 30 years. We discuss his experiences as a miner, in struggles around social reproduction, and the student struggle in Quebec. Second, we feature a discussion of the world crisis as seen in Toronto with Ashley, a member of Common Cause Ontario and organizer with the graduate students union, amongst other social struggles. She discusses challenges in the crisis, the airport walkout, and the tasks of revolutionaries in social struggles today. 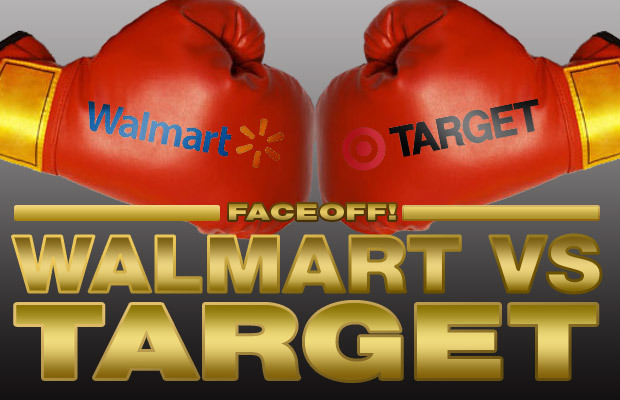 by P. Barbanegra- Recently in Miami, a showdown has been brewing between a group of activist, artist, business owners, and some residents of Midtown over the building of a new Walmart. They’ve started a campaign called Save Midtown, and have embarked on a mission to stop Walmart from setting up shop in the trendy Miami neighborhood. So far, they’ve succeeded in beating back the retail giant, whose application for securing a right to change current city planning and zoning laws to allow them to build loading docks along North Miami Avenue, a busy pedestrian and vehicular street, was rejected by the City of Miami’s Planning & Zoning Appeals Board. While this ruling can be categorized as a temporary victory against one of the most powerful emblems of the neoliberal age, the way this campaign is being framed is very problematic to say the least. Even though some of those involved with the Save Midtown campaign rightly take Walmart to task for its deplorable environmental and labor practices at home and abroad, there’s very little discussion about what makes Walmart so popular amongst the working class and low-income patrons of the store, and a real blind spot about what can be done to change that outside of ethical consumerism.